"OpenDebate is an innovative site that combines online discussions with online polling in an informative and entertaining mix..."
"... OpenDebate seeks to engage users in repeated participation -- worth taking a look." 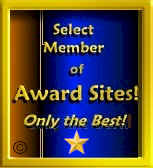 4.0 Rating - Award Sites! For our "Golden Homepage Award"